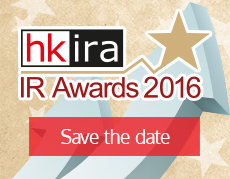 HKIRA officially launched the HKIRA 2nd Investor Relations Awards at a media briefing on 21 January 2016. Representatives from HKIRA, Judging Panel and winners of Overall Best IR Companies (Large Cap and Mid Cap) spoke at the media briefing. Seminar on "How should capital markets participants react to abnormal market volatility?" Congratulations to those candidates passed the exam! 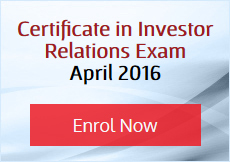 Please click here for the updated CIR certificate holders list. 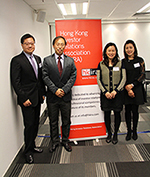 HKSFL Ambassadors raise awareness of the importance of financial literacy in Hong Kong.